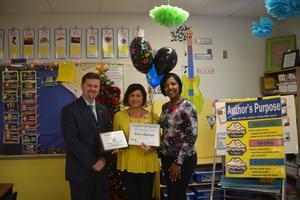 Mrs. Speegle named 2019 District Elementary Teacher of the Year for the Demopolis City School System. Congratulations to Mrs. Terri Speegle! Mrs. Speegle was named the 2019 District Elementary Teacher of the Year for the Demopolis City School System. She is also currently Westside's Teacher of the Year.